Grainger Public Relations » Surgery: From the Gruesome to the Futuristic! Surgery: From the Gruesome to the Futuristic! The story of surgery, from the 19th Century until today, will be brought to life at Dundee Science Centre during the next two weekends. Following the overwhelming success of the ‘Cutting Edge’ show in February, ‘Cutting Edge 2’ will delve deeper than before, not only reflecting on the gruesome elements of surgery from days gone by, but the high-tech advances used in the less invasive style of today’s surgical procedures. The show will be complemented by a fun drop-in activity aimed at younger children, with mini rag dolls allowing them to learn all about their insides. As well as featuring some spine-tingling historical medical equipment from the Tayside Medical History museum and discussing everything from historic amputations to general anaesthetics, the family events during the weekends of 17/18 and 24/25 May 2014 will explore the modern-day and futuristic use of keyhole surgery, robots and x-rays. 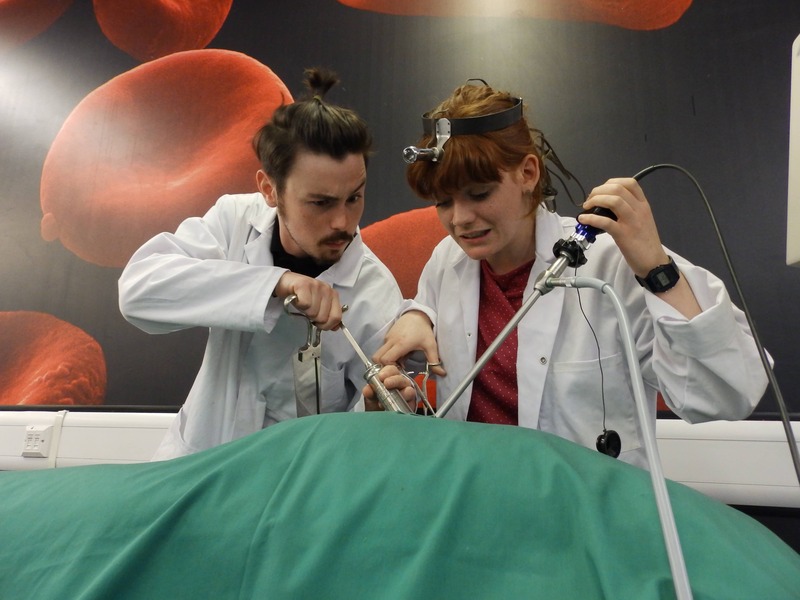 ‘Cutting Edge 2’ will also feature a host of multi-sensory experiences for visitors, with volunteers leading a variety of activities from controlling a robot to performing mock surgery. Lasting around 20-25 minutes, the show will be held regularly on 17, 18, 24 and 25 May and is recommended for children over the age of seven. Drop-in sessions for all ages will also be held regularly throughout the day. Both the ‘Cutting Edge 2’ show and drop-in sessions will be held regularly throughout the day and are included in the normal admission price to Dundee Science Centre.